The iPhone 6 Plus became available to purchase in-store less than a week ago and already people are reporting on a major flaw, which focuses around the build of the iDevice. The issue is a bending of the phones body, which has now been dubbed #BendGate and seems to be only occurring on the more expensive phone, the 6 Plus. Due to the sheer size of the 6 Plus, it makes putting the phone in your pants a tough job if you are wearing snug fitting jeans or trousers. The phones aluminium body is literally being bent, and the video below will show you just how easy the frame is to bend with not a great deal of pressure. Some of the reported cases are hard to prove if they really are genuine, and there are a growing number of reports coming in highlighting the BendGate issue. Some of the cases you can tell are genuine though, and after scouting around Twitter this morning I have seen anything from someone bumping into someone with the 6 Plus in their pocket, to someone putting it in their pocket for the duration of the day. Both resulting in bends to the phones structure. Its probably no surprise that this news and the reports have gone viral across Twitter, as people begin to poke fun at Apple. 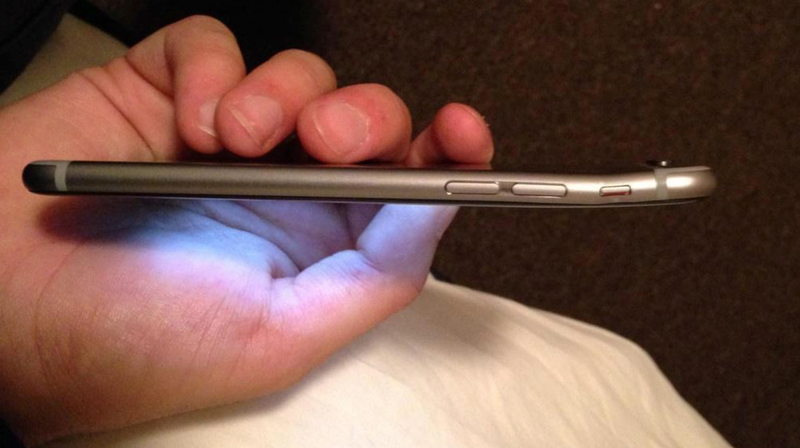 I hope the #iphone6 #BendGate issue helps to rid the world of hipster skinny jeans. That would Job’s greatest gift to the world, ever. iPad Pro & iPad Air 2 Unveiling Next Month?